Classic Entertainment and Sports returns on Friday with its 31st effort. The AXS TV broadcast is headlined by a welterweight title showdown between veterans Gil de Freitas and Chip Moraza-Pollard. However, the most intriguing prospect, undefeated middleweight Eric Spicely, resides further down the lineup in a scheduled bout against veteran journeyman Aaron Johnson. Spicely has been a homegrown talent for CES MMA. He made his pro debut with the promotion in 2013 and has fought exclusively under the CES banner ever since. Along the way, the Tim Burrill Brazilian Jiu-Jitsu and Tri-Force MMA disciple has tallied four submissions and two TKO finishes while only going the distance once. All of his finishes came in the first round. The skateboarder-turned-fighter has a limited background in combat sports. He has trained in jiu-jitsu for several years now, but is continuing to develop the other elements of his game. “The Dream Catcher’s” only notable victory over an opponent with a significant amount of experience and a winning record came in Spicely’s June outing against Harley Beekman. With a 14-10 mark, Johnson might seem like another easy out for Spicely. That record is deceptive, however. “Tex” has suffered losses to the likes of B.J. Ferguson, Clint Hester (twice), Roger Carroll, Matt Van Buren and Rodney Wallace (twice). Meanwhile, he’s handed out defeats to Misha Cirkunov, James Hammortree, Brennan Ward and fellow CES 31 combatant Greg Rebello. The 29-year-old has made the rounds of the Southeast regional scene before making recent appearances in Bellator and CES. The Defkon1 product is extremely dangerous on the mat, where he has picked up 13 of his victories. He has only one finish via strikes, but he has been stopped via some form of knockout on five occasions. Johnson’s win against Ward demonstrates just how slick the veteran is on the mat. Ward shot for an early takedown and planted Johnson on the canvas, but “Tex” quickly trapped Ward’s arms and then transitioned to an armbar that coaxed a tapout from the Bellator fighter. It all happened in 15 seconds. He’s had several sub-minute submission finishes, including the one over Hammortree. The problem is that he has also suffered several speedy submission losses. Spicely is very skilled on the ground and works fast, so this could very well be a don’t-blink series of scrambles before a first-round tap from one of the men involved. Spicely is persistent with his takedowns and very skilled at luring his opponents into submissions. He’ll try to take his opponent’s back at the slightest opening. Furthermore, he can be like glue once he has his opponent down, moving from position to position while always controlling his adversary. Spicely’s ground skills and aggressiveness trump those of Johnson. This will be the undefeated prospect’s biggest challenge, but it’s also a test he’s capable of passing with flying colors. The big factor in this contest is Johnson’s own vulnerability to the submission. The fans should be in for a treat with some quick and spirited initial scrambles, but Spicely’s going to take advantage of Johnson’s weaknesses and bring an end to this fight within the first five minutes of action. Poland’s biggest promotion is taking the show on the road. KSW is headed to London for its 32nd offering. The card, dubbed “Road to Wembley,” consists primarily of bouts pairing a Polish fighter against an opponent from various corners of the globe. In the case of Polish lightweight prospect Mateusz Gamrot, that opponent, Marif Piraev, hails from Russia. 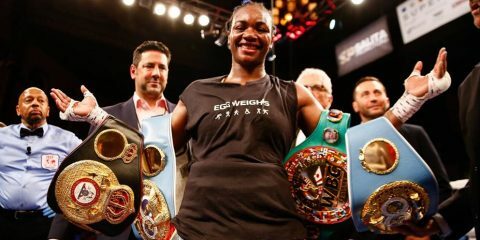 The 24-year-old Gamrot has been fighting professionally since 2012. He has yet to taste defeat through nine outings. He hasn’t had an easy road either. He debuted against Arbi Shamaev, who has gone on to compile an 8-2 record. 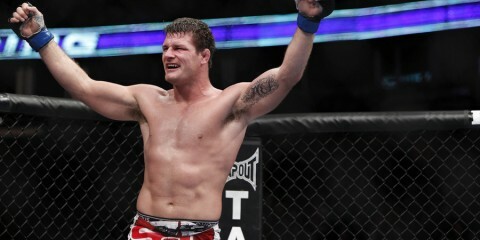 By his fourth fight, he was competing under the KSW banner, and his fifth fight came against UFC veteran Andre Winner. At the time of his encounters with them, his last seven opponents held a combined 75-26-3 record. Toss in Piraev and that mark climbs to 88-26-4. 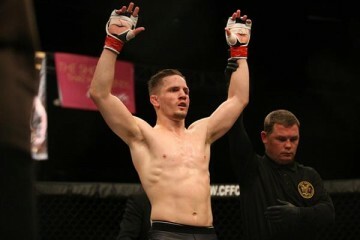 The Polish fighter has three stoppages via strikes and two finishes by way of submission. “Gamer” has made one previous trip to England, where he defeated Tim Newman under the Cage Warriors banner. Piraev, 23, is another young up-and-comer seeking to keep an unblemished record intact. He made his pro debut in 2011 with the Fight Nights promotion. The “Lion of Dagestan” has trained alongside the likes of Vitaly Minakov, Ali Bagautinov and Gasan Umalatov. He has a background in boxing and sambo, and he has demonstrated solid striking to accompany a ground game that has led to seven submission wins. His first real test came against Benjamin Brinsa, who was briefly under contract with the UFC before the promotion realized that it might have a Neo-Nazi hooligan on its hands. Piraev needed less than two and a half minutes to hand Brinsa, who was undefeated through 13 fights at the time, a triangle choke-submission loss. He has continued the trend of fighting quality opposition in his subsequent bouts, with a list of six opponents combining for a 60-28 record at the time when they clashed with the Russian. The Fortress Fight Team product’s biggest weakness might be his willingness to sacrifice position and even fight off his back in hopes of attacking with submissions. These men are among Europe’s top lightweight prospects, and both fighters have proven that they can handle legitimate opponents. Now, barring a draw or no-contest, one of them will lose their spotless mark. Gamrot is a three-time Polish wrestling champion and a decorated Brazilian Jiu-Jitsu practitioner. He’ll have his hands full with Piraev, who has a base in combat sambo and has captured championships in sambo and hand-to-hand combat in his native Russia. Piraev has been projected as a possible lighter version of Gegard Mousasi if his skills continue to develop. His sambo base gives him an excellent takedown and grappling attack to work with, but Gamrot is exactly the type of opponent who can hang with Piraev on the mat and frustrate the Russian. Piraev had to settle for a draw against Luiz Cado Simon, and Gamrot is capable of taking things one step further and handing Piraev a loss. It might be a bit too optimistic to expect Gamrot to get the submission, but he will out-grapple Piraev en route to a decision nod. 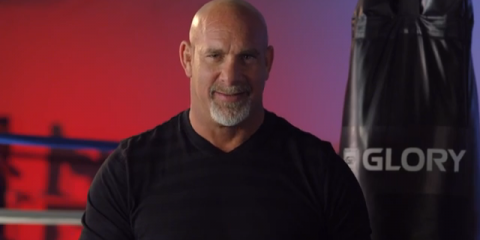 This week’s developmental, regional and international lineup offers plenty of title bouts. The CES MMA bill is topped by a welterweight championship showdown and KSW has welterweight and light heavyweight title tilts on the docket. However, it’s Cage Fury Fighting Championships that has the most gold on the line. 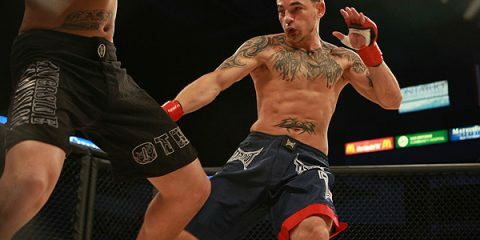 In addition to a featherweight title showdown pitting Jeff Lentz against prospect Jared Gordon and a bantamweight championship affair spotlighting undefeated up-and-comer Ricky Bandejas, the promotion’s 52nd offering is headlined by a lightweight title contest between champion Darrell Horcher and challenger Stephen Regman. 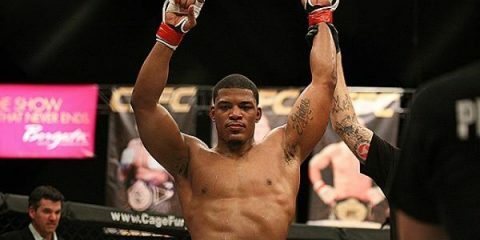 The 28-year-old Horcher made his pro debut in 2010 and claimed seven wins, including two under the Bellator banner, before suffering his first and only loss against The Ultimate Fighter 8 runner-up and UFC veteran Phillipe Nover via unanimous decision. It was the end of Horcher’s Bellator run. He moved on to Cage Fury FC, where he has made all of his subsequent appearances, racking up four wins and claiming the lightweight belt. He trains out of Unrivaled Athletics and has five wins via strikes. Regman suffered a submission loss and fought to three split decisions (winning two) as an amateur. The 24-year-old turned pro in 2013 and continued his trend of split decisions in a debut loss to Eddie Lenoci. “The Predator” turned things around in his sophomore appearance with a first-round finish via strikes. He’s gone on to move his winning streak to five fights while only going the distance once. His one decision victory was a unanimous verdict, a good sign for a fighter who had struggled to dominate opponents earlier in his career. The Tiger Schulmann’s fighter earned his shot at the belt when he scored a third-round submission finish of Jordan Stiner, who had fought for the vacant title against Horcher. In addition to his four Cage Fury appearances, Regman has fought under the Ring of Combat banner. Regman’s past struggles raise some red flags. While his victory over Stiner was impressive, he failed to finish a sub-.500 fighter in his previous fight. Horcher’s a better fighter than anyone Regman has seen so far, including Stiner. Where Stiner relies heavily on his wrestling and ground game, Horcher is willing to trade on the feet despite possessing a high school wrestling background. Horcher’s diverse game could serve him well against Regman, who is a kickboxer. Fans of striking battles could have a lot to look forward to when these men clash. Both fighters have one-punch knockout power — Regman’s devastating finish of the previously unbeaten Alan Stephenson and Horcher’s demolition of E.J. Brooks are great illustrations of the power behind a left hand that lands cleanly — and a willingness to stand and bang. This is one of those fights that could come down to who connects first. Despite Regman’s power, his difficulty getting past previous opponents is too much to ignore. Horcher is a veteran who should come into this fight with plenty of confidence and a skill set to counter Regman’s attack. Fans can expect to see some great exchanges on the feet, but Horcher could even opt to shoot for a takedown if things get dicey in a stand-up affair. Horcher has more tools at his disposal and the knockout power to keep Regman honest on the feet. The champ will defend his belt with either a TKO finish or a close decision nod.